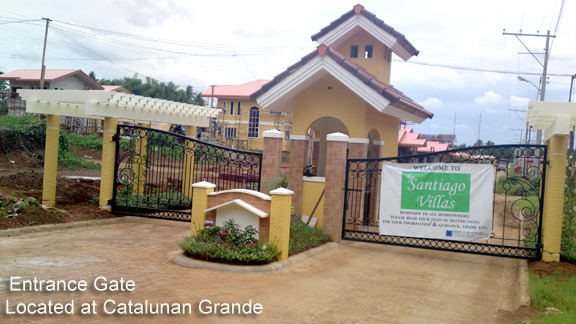 Santiago Villas – Kisan Lu Lands and Development, Inc. The perfect place for your family to spend quality time together is at home- SANTIAGO VILLAS. For as low as P4,000+ per month, you can get a House and Lot fully painted. Floor area: 31 sqm. Lot size: 80 sqm. Ready to occupy! First come first serve! Own this house thru Pag-IBIG or Inhouse. Just text 0923-7074377. Look for Albert. can we avail keisha or gloria thru pag ibig? Pingback: Santiago Villas: A nature’s haven « Kisan Lu Lands and Development, Inc. Please send me information how to avail a unit in this project. gud day…may i ask how much would be deposited for this housing in case we decided to take one of these?and can we take it through in-house?please send more interior photos to my email add.tnx! I would to inquire if you have a housing that can able to apply thru pag ibig, the location i should prefer is Catalunan, Grande or Ma-a Davao City..Please give me the exact full details for my reference to take the housing loan. may available pa ba kayo na Linda na house? is this available for non pag-ibig members?